Book Review: "The Devil and Sherlock Holmes"
David Grann is one of the finest writers of contemporary long-form investigative journalism, and his new book The Devil and Sherlock Holmes (Doubleday, 2010) collects twelve of his previously-published essays (nine from The New Yorker, one each from The Atlantic, New York Times Magazine, and The New Republic). Grann's style makes for great reading; he takes fascinating subject matter and somehow manages to both compress and expand it into perfectly-paced segments, just right for a leisurely read. Each of the twelve essays is completely enthralling in its own right, from the first (on the mysterious death of Sherlock Holmes scholar Richard Lancelyn Green), to the last (on Haitian death squad leader Toto Constant). Sandwiched between these are careful examinations of whether the state of Texas executed an innocent man, how the Aryan Brotherhood came to control America's prisons, and how Jim Traficant got involved with the Youngstown mob; and profiles of a scientist obsessed with finding the giant squid, baseball player Rickey Henderson, bank robber/escape artist Forrest Tucker, and the "sandhogs" who are working underneath New York to construct a new water system. Grann's travels take him to small boats in stormy waters of the New Zealand coast, deep into the mucky depths of New York's subterranean tunnels, into prisons and small-town baseball stadiums, arson It was great fun to go along for the ride. If you're looking for something bibliophilic to do this weekend (and who isn't?! ), check out the Boston Antiquarian Book Fair, sponsored by MARIAB and to be held at the BU Track & Tennis Center (100 Ashford Street in Boston). Hours on Friday will be 5-9 p.m., and on Saturday 10 a.m. - 5 p.m.
You can find the list of dealers and a map to the location here. I'll be there at least on Friday evening, and will be sure to file a report. Last March, as I reported here, I spent a few days in Bermuda for the Society of Early Americanists' conference down there. In my notes posted when I got back, I wrote "I'm already thinking about research projects that might enable me to get back there sooner rather than later," and those ideas have been percolating ever since. I'm happy to report that they've finally come to a boil, and I've embarked on what will probably be a fairly long-term project, to explore the history of books and book culture in Bermuda from the earliest English settlements through end of the eighteenth century or so (say roughly 1609-1800). I'm writing about it here to make it official for myself, and to explain why I've been tossing out tidbits about early Bermuda records on Twitter and acquiring so many books related to Bermuda's history recently (just in case you were wondering). There's not a whole lot in the literature on the topic (most of the reason I decided to explore it) - while both mainland America and the Caribbean islands have been explored (at least to some extent), Bermuda's been largely ignored ... a fault which I hope I can take at least some modest efforts to correct. Mike Jarvis' new book on Bermuda's role in the Atlantic world should spur further studies of how the island fit into the economic and cultural atmosphere of the time, and his framework and exhaustive efforts will be immensely helpful in all those attempts. Over the last several months I've begun amassing a pretty hefty pile of books and articles on early Bermuda and its people to begin the project, and I've finally been able to start making my way through them (and making lists of those that I need to hunt up elsewhere). Not surprisingly, there is much more in the primary records (particularly those for the early period) than has been put to previous use - just this morning, for example, I found was appears to be the first record instance of book theft in Bermuda, in 1640. There are many questions I look forward to exploring, and many, many, many stones left to turn - and at the end, who knows what will emerge. Whatever it is, I'm sure there will be many twists, turns, and surprises along the way (and don't be surprised if I can't help but share with you all now and again). This project will require at least a couple trips to Bermuda to use the collections at their archives (including, among other archival sources, the wills and inventories, which contain records of many early private libraries). I'll be spending some time writing up grant applications so that I might be able to undertake those researches, and anticipate some serious time spent immersed in detailed reads of record books (mmm! ), both here and there. Of course I'll still be attempting to keep up as lively a posting schedule as I generally have around here, and will be continuing to plug away at the Libraries of Early America (though I have not yet decided who's library to work on next - any suggestions from The List?) - you all just may be hearing a little more about Bermuda in the coming months than you have to date; I hope you don't mind.Oh, and if you need pictures by way of enticement, don't worry, I've got lots! After quite a long break from them (entirely unintentional), I turned this week to Patrick O'Brian's fifth Aubrey-Maturin novel, Desolation Island. Possibly my favorite of the series so far, this one has the daring duo transporting felons to Australia, including a mysteriously alluring female spy and her erstwhile stowaway companion. Naturally, the trip's not a smooth one: an epidemic decimates the crew, a powerful Dutch ship is out for blood, and tremendous natural hazards await in the waters of the Antarctic. A good mix of action and counter-espionage, with O'Brian's usual good characterization (after a while you can really feel the shifting moods of the crew), and another fun treatment of early natural history, with Maturin taking every possible opportunity to observe breeding albatrosses, mosses, and other zoological and botanical sights (a blue whale even makes a cameo appearance). - Book Patrol reported this week that the FBI has been checking out bookstores in the Northwest (particularly in Vancouver) looking for wanted gangster Whitey Bulger. - J.L. Bell notes a new Concord Museum exhibit of historical items passed down through generations of Concord families. - On "Morning Edition" this week, a story about Anna Barbauld, a lab assistant to Joseph Priestley, who penned a poem to Priestly from the perspective a mouse he was set to experiment on the next morning. - Steve Ferguson has some super-depressing news about the apparent dispersal of an important 19th-century business archive. - Historian Orlando Figes fessed up this week to posting anonymous, scathing reviews of his rivals' works on Amazon.com. More in the TLS. - Ken Auletta has an essay in this week's New Yorker on what the iPad might mean for reading and the publishing industry. - Some more trouble for Stephen Ambrose: appears he made up more than was previously known. - Paul Collins offers up "the most incoherent book title of 1907." Love it. - Alberto Manguel's A Reader on Reading: short review by Edward King in the Sunday Times. - James Horn's A Kingdom Strange: review by Greg Schneider in the WaPo. - Evan Thomas' The War Lovers: review by Ronald Steel in the NYTimes. - James Shapiro's Contested Will: review by Charles Nicholl in the TLS. - Leo Damrosch's Tocqueville in America: review by François Furstenberg in Slate. - Bibliography and the Sociology of Texts by D. F. McKenzie (Cambridge University Press, 1999). Brookline Booksmith. - The Late Age of Print: Everyday Book Culture from Consumerism to Control by Ted Striphas (Columbia University Press, 2009). Publisher. - City Reading: Written Words and Public Spaces in Antebellum New York by David Henkin (Columbia University Press, 1998). Publisher. - McSweeney's Issue 34; edited by Dave Eggers (McSweeney's, 2010). Publisher. - Swann Galleries sold the Penzler Collection of Espionage on 8 April. A first edition of Fleming's Casino Royale made $33,600; an inscribed copy of Moonraker sold for $50,400; and an archive of James Bond-related documents fetched $57,600. - At Swann's 12 April sale of Early Printed Books, the top seller was Saint Thomas Aquinas' Commentum in octo libros Physicorum Aristotelis (Venice: 1492), heavily annotated on the opening leaves. It made $9,600. A copy of the first John Baskerville edition of the KJV (1763) made $9,000. - The 22 April Autographs sale at Swann saw an inscribed copy of Fitzgerald's The Beautiful and the Damned fetch $12,000; an autograph album of musicians and composers made $11,400, and a signed photo of Teddy Roosevelt was the high seller at $15,600. - Christie's London sale of Travel, Science & Natural History on 22 April brought in a total of £790,050. The top seller was a colored copy of Emily Eden's lithographs, "Portraits of the Princes and Peoples of India" (1844), which made £55,250. The first edition of Darwin's Origin beat its estimate, making £27,500. - Bloomsbury London had a Bibliophile sale on 15 April. Two lots were tied for the top spot, at £1,600. Bloomsbury New York sold Fine Printed Books & Manuscripts on 21 April, at which the top seller was a first edition of Yeats' first book, Mosada, formerly in the possession of a family member. It made $60,000. William Goldson's Observations on the Passage between the Atlantic and Pacific Oceans (1793) sold for $36,000, and a 13th-century missal fetched $34,000. Today's sale of Importants Livres Anciens, Livres d'Artistes et Manuscrits at Christie's Paris brought in €1,502,275. The unexpected high seller was a first edition of Dumas' Le Comte de Monte-Christo (1845-1846), which made €253,000 (beating the €30,000-50,000 estimate handily). Perrault's Histoires ou Contes du temps passé (1697), estimated at €80,000 - €120,000, made €133,000. A Johannes Janssonius Atlas (1657-1658) fetched €97,000; the 1482 edition of Euclid made €62,200. An Aldine Aristotle and Galileo's Sidereus Nuncius (1610) with Kepler's 1611 commentary each sold for €68,200. Champlain's Les Voyages de la nouvelle France occidentale, dicte Canada (1632) failed to sell. Just about every media outlet under the sun has been reporting (most with a breathlessness approaching hysteria) on the "discovery" that George Washington borrowed two books from the New York Society Library in October 1789 and appears not to have returned them (see coverage in the New York Daily News, Christian Science Monitor, CNN, AP, Guardian, for example). Don't get me wrong, I like to see library history in the news - but the ridiculous angle taken by most of the press coverage (the amount of the fine Washington would have to pay today) is eye-rollingly inane. Yes, I know this shouldn't surprise me, but it's still annoying. Also, this is not new news. The ledgers containing the entries were found in 1934, and there's even a 2007 article on the NYSL's website mentioning the books (and refuting the claims in most of the media stories that all the other "famous borrowers" returned their books - John Adams doesn't appear to have returned the second volume of Kames' Elements of Criticism, either). This is probably way too curmudgeonly - forgive me. Book Review: "Tocqueville's Discovery of America"
Leo Damrosch's new book Tocqueville's Discovery of America (Farrar, Straus and Giroux, 2010) draws on previously-unpublished sources and the last several decades of historical scholarship to illuminate the nine-month journey that ultimately resulted in the publication of Tocqueville's Democracy in America. In doing so he effectively both updates and abridges George Wilson Pierson's Tocqueville and Beaumont in America (first published by Oxford University Press in 1938 and reissued as Tocqueville in America by Johns Hopkins University Press in 1996). While Pierson's 850-page behemoth remains the most detailed reconstruction of Tocqueville and Beaumont's trip across America, Damrosch's much more compact book will certainly prove more accessible to the general reader, and his analysis of what Tocqueville got right (and wrong) in his treatment of American society and politics is both interesting and instructive. The trip itself cannot fail to impress - Tocqueville and Beaumont experienced much of America during their visit, even if some (mostly in the South) was seen mostly through stagecoach windows (Tocqueville long lamented not having spent enough time in that region to gain a real sense of it). From Boston to Niagara Falls to the Michigan wilderness, New Orleans, and the capital at Washington, America was observed, even if it was not entirely understood. Damrosch's comparison of Tocqueville's reactions to things American with those of other European travelers (Marryat, Dickens, Trollope) was very useful, and throughout he keeps a good narrative pace and style. An enjoyable read. - Champlain's Les Voyages de la nouvelle France occidentale, dicte Canada (1632), the first complete edition (€90,000 - €120,000). - Perrault's Histoires ou Contes du temps passé (1697), estimated at €80,000 - €120,000. - A 1482 edition of Euclid (€60,000 - €90,000). Christie's London will sell Travel, Science, and Natural History on 22 April, in 238 lots. - A first edition of Darwin's Origin of Species (1859) owned by a scientific correspondent of Darwin's, Frederic Bond, and a 1541 edition of Claudius Ptolemy's Geographicae enarrationis libri octo are expected to be the top sellers among the books, with estimates of £15,000-20,000. - A very interesting thing in Lot 49: a set of Thomas Sopwith's geological models (c. 1841), with different types of wood used to represent rock strata. Estimated at £6,000-10,000. Another set of the models in Lot 50. - A good number of maps, globes, and scientific instruments here among the books, as well. - Joannes Janssonius' Theatrum Praecipuarum Urbium (1657), 7 of the 8 lavish volumes of illustrations showing European cities and towns. The Italy volume is missing, and the other volumes are each missing an engraving or two - but it's still estimated to reach £140,000-180,000. - A small archive concerning 1928 meetings between Sir Gilbert Clayton and Ibn Saud, from the British consulate at Jeddah (£70,000-100,000). - William Bradford's The Arctic Regions Illustrated with Photographs taken on an Art Expedition to Greenland (1873). An album of 141 albumen prints (£60,000-90,000). - The Horblit copy of Fernandez de Enciso's Suma de Geographia (1546), "the first Spanish account of discoveries in the New World" (£65,000-85,000). - John Gould's Birds of Europe (1832-1837), £45,000-60,000. - Joseph Cartwright's aquatint view of the Ionian Islands (1821), £45,000-60,000, the first complete set to come up at auction since 1965. - Among the other interesting things in this sale are a rare copy of Sir Thomas Smith's Voiage and Entertainment in Rushia (1605), £12,000-18,000 and many other early exploration accounts; and a 1730 map of New York (£2,000-3,000). In the afternoon session on 6 May, Sotheby's London will sell the Benevento Collection: Important Maps and Atlases on 6 May, in 71 lots. The expected top seller is a 12-volume mixed-edition set of Blaeu's Atlas Major (1662-1681), housed in a special cabinet constructed by Milan's Colombo Mobili. It's expected to make £180,000-200,000. - "The extremely rare first state of the first separately printed map of North America," Forlani's Noua Franza (1565). No copy is known to be in private hands, and copies of this state are exceedingly rare on the market. Estimated at £100,000-150,000. - Another Forlani, this the 1570 world map, is also expected to fetch £100,000-150,000. - A 1555 world map in polar projection, probably a proof copy, is estimated at £40,000-60,000, as is an Eckebrecht world map dated 1630 (but possibly c. 1658). - Many other early and interesting maps. Expect post-auction reports on these as the hammer comes down! Book Review: "In the Eye of All Trade"
Although it's still early in the year, I'm entirely confident that Michael Jarvis' In the Eye of All Trade: Bermuda, Bermudians, and the Maritime Atlantic World, 1680-1783 (University of North Carolina Press, 2010) will be on my "Best of 2010" list. It is a remarkably thorough study of Bermuda's place in the Atlantic world in the seventeenth and eighteenth centuries, and a fascinating social history of the creative and distinctive maritime culture that emerged there. Since the book is quite hefty (466 pages of text, plus 176 pages of notes), and because it's such a worthwhile topic, this review will be a little longer than most. Jarvis begins his study with something of a geographical thought experiment - by tipping a traditional map of the "Atlantic World" on its side, a fuller picture of British America emerges, with settlements "arrayed along a continuous curving arc of islands and coastline stretching from Newfoundland to Tobago. Bermuda lay at the center of this vast British American crescent, roughly equidistant from all points on its rim" (p. 2, map p. 3). Taking ocean currents and wind patterns into account "further intensified Bermuda's geographical centrality within British America" (p. 3). By putting Bermuda back in the center, "in the eye of all trade," its role as a dynamic society and a maritime hub within British America can be explored to a greater extent than any author has done before. The first several decades of English settlement on Bermuda are covered in an introductory chapter, "Colonizing Paradise." Here Jarvis treats the Sea Venture wreck and its aftermath, including the formation of the Somers Island Company in 1615 and the begins of an island society with some characteristics that would remain relevant (dense settlement patterns, close-knit communities bonded by ties of kinship and religion, with multiracial population). The contrasts between early Bermuda and early Virginia could not be more striking, but the limits imposed by Bermuda's small size meant that while mainland colonies could continue to attract settlers and expand its economy, Bermuda was pretty well at its limit by the mid-1620s. During this early period the islanders focused on cultivating tobacco for export to England (until 1625 they shipped more tobacco than Virginia did), but the crop's tendency to wear out the soil (and the inability of Bermudians to just find new fields to plant) brought a quick end to that business model. By the early 1680s, many Somers Island Company shareholders saw little profit in Bermuda, whose occupants had turned to other forms of agriculture with the collapse of the tobacco economy, and had already begun to branch out into the maritime activities which would prove such a boon in the coming decades. The colonists were none too keen to heed calls to return to tobacco production; they along with disgruntled English allies sought and eventually attained the downfall of the Somers Island Company and the imposition of royal government. The 1685 change in administrations allowed Bermudians to make a key switch: it gave them "considerable freedom as they turned their attention fully to the sea and embraced trading opportunities that the company had persistently suppressed. Bermudians shifted from agriculture to commerce swiftly and decisively: in less than a generation, they fundamentally reoriented their economy, all but giving up agriculture in favor of a wide array of maritime enterprises" (p. 64). In his second chapter Jarvis highlights the intensity and speed of this massive societal shift, which brought about a period of strong economic growth and prosperity, and meant major changes in the way Bermudians used their land, governed themselves, fed themselves, used their slaves, and spent their time. Instead of stripping the land for tobacco or food cultivation, Bermudians imposed strict conservation measures and cultivated native cedar trees for use in the island's shipbuilding industry (and in so doing began a trend of relying on food imports instead of growing their own). A new assembly was put in place, which Jarvis suggests was probably the most representative in British America. Slaves were integrated into the maritime economy to man the ships and labor alongside their masters in the various commercial ventures they undertook. One of the most salient points from this chapter that carries through the remainder of the book (and begs several questions of great interest to me) is that there was very little direct trade with Britain during the eighteenth century - Bermudian sloops were much more focused on trade with the Caribbean and mainland American colonies than with the "mother country" (p. 117), and British policy-makers were likewise little focused on this small, seemingly unproductive island. Unproductive as it may have seemed to London, however, Jarvis' study makes clear that Bermuda was anything but. The third and fourth chapters focus on just how Bermudians made the most of the Atlantic world they inhabited: by engaging in intensive coastal trade (a significant but elusive portion of which involved smuggling) with the American mainland (particularly the Chesapeake and points south) and the Caribbean islands (including Dutch and Danish ports), and working what Jarvis calls the Atlantic commons (raking salt and salvaging wrecks in the Bahamas, harvesting lumber and dyewoods on the Yucatan, &c.). By building distinctive, fast "Bermuda sloops," honing navigational and piloting skills, and keeping costs low by using slave labor aboard their ships, Bermudians flourished and made their island into what Jarvis terms a "great paradox: the island was a vibrant commercial and communications hub and yet virtually invisible and easily missed within Great Britain's sprawling empire" (p. 183). What struck me most about Jarvis' chapter on the Atlantic commons was how imaginative and creative the Bermudians were in making the most of their situation. By taking advantage of resources in uninhabited, underutilized areas, they supplemented their trade-based economy and adapted quickly and adroitly to changing circumstances and conditions. In the disputed salt-raking and lumbering zones, for example, slaves were generally not used prior to the Treaty of Paris, because they would not be returned if captured by Britain's enemies - once peace was obtained, however, the Bermudians quickly settled slave communities on the salt islands. They developed primitive diving bells for use in salvaging wrecks, and proved themselves excellent privateers during times of war. By pooling family resources, taking and sharing risks, and utilizing skilled slave laborers (Bermuda's ubiquitous slave were probably among the most socially integrated and well-educated of any in the British colonies, Jarvis argues), Bermudians kept their profit margins up. And by interacting with others from across the Atlantic world, they gained a "more cosmopolitan and culturally expansive worldview than residents of the more formally constituted and territorially fixed colonies that we usually study" (p. 256). In "A Seafaring People," Jarvis' fifth chapter, he provides an in-depth examination of Bermudian society in the eighteenth century, highlighting the key differences between the island and other British colonies. Even among the port cities, he argues, it is "difficult to find one more intensively maritime in character and focus," and only Nantucket even comes close (p. 260). Bermuda tended toward the clannish: in 1727, members of just 57 families made up half the households on the island, and kinship networks ran deep. The high maritime death rate created a deep gender imbalance (there were twice as many women as men in 1727, for example), and women were responsible for much day-to-day management of island business, since the men were so often at sea. The very healthy population tended to skew very young, and nearly all households owned slaves (though each owned very few, and the slave culture was rather different than most other places, as noted above). Inheritance customs were to divide estates equally among all children (including daughters), and island wealth was more evenly distributed than elsewhere (particularly given that both the most ambitiously wealthy and the poorest tended to leave the island). Smuggling and purchasing of goods from Dutch and Danish ports meant that more Bermudians tended to have what would be considered luxuries than other colonials. Education was geared toward practical uses, and literacy/numeracy rates were quite high, even among slaves. Social gatherings included church events, court sessions, militia-training, occasional theater entertainments and balls, plus Masonic lodges and scattered literary clubs (the role of books and literary culture in Bermuda is a topic of great interest to me which Jarvis touches on briefly; it cries out for further study, and I hope to be able to undertake a project in that area shortly). Jarvis notes that his exploration of Bermudian social patterns begs a very interesting question: "Were Bermudians really demonstrating a British cultural allegiance as they built Georgian houses, drank tea, and danced minuets, or were they participating in an even more complex transational project of Atlantic refinement as they took goods and cultural cues from their calls to Dutch, Danish, French, and Spanish American seaports?" (p. 313-14). It's clear to me that there was nothing simplistic about Bermudian cultural development! Bermuda's extensive kinship networks extended far beyond Bermuda, as Jarvis makes clear in his sixth chapter. Islanders quickly spread to other parts of the empire and beyond, creating useful contacts for their relatives and fellow Bermudians. More than ten British colonies settled in the period 1630-1685 were populated by Bermudian migrants, and the shift to a maritime economy only increased this trend. The Bahamas, St. Eustatius, Norfolk (VA) and the South Carolina lowcountry were the leading destinations, and to each of these places and others Bermudians exported their distinctive customs, slavery patterns, and ties to the sea. Looking at migration studies from an intercolonial perspective, Jarvis notes, rather than strictly through a transatlantic lens, provides much insight into trends and migration patterns that might otherwise be lost. In his seventh and final long chapter, Jarvis deftly tackles the difficult topic of the American Revolution and what it meant for Bermuda. Most islanders were probably predisposed toward the mainland colonies (not least because they depended on them for their food supplies), and continued to trade with the thirteen colonies for as long as they possibly could (the rebellion might not have lasted its first years without salt brought by Bermudian ships, and Bermudians even tacitly supported a raid on the island's gunpowder supply in 1775, and would probably have supported an American 'invasion' if one had been mounted). Ultimately, British army and naval forces were stationed at Bermuda and nearly caused a disastrous famine by blocking the importation of food, and loyalists from the mainland used the island as a base for privateer attacks on American shipping (interestingly, island crews forbore privateer attacks against American shipping until late in the war, once French involvement and a hurricane destroyed the salt trade, British forces had taken control of the Southern ports with which they traded most heavily, and loyalists had taken control of Bermuda's government). With an influx of money from privateering ventures and the sale of surplus goods to the British, Bermuda was able to make capital improvements and ultimately turn the war to its advantage, but the loss of its maritime ties with the mainland ultimately caused Bermuda's trade-based economy to collapse, and the island looked to the British military for future support (it became the main landfall point between the Canadian and Caribbean remnants of the empire). Looking at the American Revolution from the Bermudian point of view, Jarvis makes clear, offers a much more complicated picture than what we're used to: "Had it not been for Bermuda's profound vulnerability to British naval attack, islanders might well have joined the union as a fourteenth state. For a century, Bermuda's commerce and cultural connections with Great Britain were negligible but extensive and sustained with North America" (p. 446). Jarvis' short concluding section highlights the very aspect of his book that reappears again and again in the notes I took as I read (nearly twenty pages' worth): the Bermudians' "ability to handle contingency and respond to fate were central" (p. 459), and they were able to do both, in a sense reinventing themselves every century or so (p. 460). And finally, Jarvis issues a call to his fellow historians that I think is entirely well-founded: when studying the Atlantic worldview, we "need to pay as much attention to economic, cultural, migratory cross-cultural contact between places on the periphery as we do to contact between periphery and core" (p. 464). This is truly an impressive book. While extraordinarily detailed, it is also a joy to read. Jarvis' writing is clear, concise and expertly-crafted, free of the narrative-clogging academic jargon that has the potential to gum up works like this. There is much here for historians to chew over, and I hope it gains the wide readership it deserves among not only those focused on the Atlantic, but also those concerned with the histories of the Caribbean, America and Britain during the period. As he notes, there are further aspects which cry out for additional study and comparison (I hope I can provide some myself with a look at books and literary culture, but certainly there is much more ground here for studies of race and gender, cross-cultural exchanges, government structure, &c. &c.). I can't end this review without noting various other aspects of this book which I enjoyed. The illustrations and maps enhanced the narrative greatly, and I was completely please with the terrific notes which Jarvis provides - I came away with more than a page and a half of books and articles to look up, and I'm sure there are others that I'll find when I come back to this book in future. All credit to Jarvis and his publisher for making them available at such great length. Future historians will no longer be able to get away with marginalizing this fascinating island: In the Eye of All Trade should ensure that Bermuda's place at the (literal) center of the British Atlantic world (and the historical study of that world) is, at long last, secure. - Next weekend's Newburyport Literary Festival, honoring John P. Marquand and featuring a wide range of authors (Gregory Maguire, Andre Dubus III, Wally Lamb, and many others), will be held next weekend. Schedule of Events. Preview in today's Globe. - Tevi Troy has a piece in the WaPo today on presidential reading habits. - In the TLS, Ruth Scurr presents a version of her forthcoming introduction to a selection from Thomas Carlyle's French Revolution, to be published later this month. - Probably the most-circulated story this week was the news that the Library of Congress will be acquiring the entire public Twitter archive, though it seems just how this is going to be done has yet to be ironed out. - Speaking of Twitter, the great Paul Collins is now tweeting, @TheLitDetective. - The British Library has acquired the archive of artist/author Mervyn Peake. - British press have been all over the story of an anonymous donation to Oxfam that netted £37,000 at auction - a rare, self-published 1882 account of a trip to Fiji, with photographs. - James Shapiro's Contested Will: reviews by Kevin O'Kelly in the Boston Globe; David Sexton in the Scotsman; Katherine Duncan-Jones in Literary Review. - Orwell: A Life in Letters, edited by Peter Davison: review by D.J. Taylor in the Times. - Nick Bunker's Making Haste from Babylon: reviews by James MacConnachie in the Times; Felipe Fernandez-Arnesto in the TLS. - Claire Harman's Jane's Fame: reviews by Dennis Drabelle in the WaPo; Sophie Gee in the NYTimes. - Peter Carey's Parrot and Olivier in America: review by Thomas Mallon in the NYTimes. - Leo Damrosch's Tocqueville's Discovery of America: review by David Reynolds in the NYTimes. - Ian Davidson's Voltaire: A Life: review by Susan Elkin in the Independent. Book Review: "McSweeney's, Vol. 9"
McSweeney's 9 (2002) contains twelve short pieces (nine stories, a play and three essays). My favorites were the three non-fiction pieces: William T. Vollmann's "Three Meditations on Death," Val Vinokurov's "Talking Fiction: What is Russian Skaz?" (followed by Isaac Babel's "Salt"), and Jeff Greenwald's "My New Best Friend," about a trek to a remote Himalayan mountain sacred to Hindus and Buddhists. The latter was bizarre, and amusing. The fiction here I found just a bit too edgy for my liking, but I'm sure others will enjoy it. Book Review: "A Short History of Nearly Everything"
Bill Bryson's A Short History of Nearly Everything (2004) is a light-hearted but data-filled romp through the history of science, tackling everything from astronomy to climatology to paleontology to biochemistry to geology and, well, nearly everything in between. This is not a ground-breaking scientific work, but a good basic text for the interested non-scientist, with a nice big bibliography at the end for anyone sufficiently interested in a topic to go off and explore some more. Bryson typically visits with experts in the various fields he touches on in the text (e.g. Richard Fortey, Ian Tattersall), and complements those reports with anecdotes from the scientific literature, pulling it all together with that distinctively dry Brysonian wit. - Reforging Shakespeare: The Story of a Theatrical Scandal by Jeffrey Kahan (Lehigh University Press, 1998). Amazon (used). - Making Haste from Babylon: The Mayflower Pilgrims and Their World: A New History by Nick Bunker (Knopf, 2010). Publisher. - The Brother Gardeners: Botany, Empire and the Birth of an Obsession by Andrea Wulf (Knopf, 2009). Gift. - Flowers and Herbs of Early America by Lawrence Griffith (Yale University Press, 2010). Gift. - Bermuda's Story by Terry Tucker (Bermuda Book Store, 1967). Brattle. - Minor Lives by John Nichols; edited by Edward L. Hart (Harvard University Press, 1971). Brattle. Book Review: "Oxford Companion to the Book"
Note: this review appears in the April issue of Fine Books & Collections (to which I encourage all readers of this blog to subscribe (or resubscribe). I've posted it here (by the kind permission of the publisher) as it appeared in the magazine. If no bibliophile gets anything done in 2010, I think it may not be a stretch to blame the two volumes under review here. The Oxford Companion to the Book (OCB), edited by Michael J. Suarez and H.R. Woudhuysen and released last month by Oxford University Press, could occupy those of us interested in books and book history quite happily for the foreseeable future. We aren’t necessarily a numbers crowd, but these require our consideration. The OCB has taken six years to produce, and contains more than a million words across more than 1,400 pages. Nearly 400 scholars from 27 countries contributed the 51 essays (19 thematic studies, 32 national/regional histories of the book) and the 5,160 A-Z reference entries. The editors note at the outset the limits of this or any such source which attempts a comprehensive approach to its subject: "Knowing full well that catching perfection was out of the question, we have simply attempted to bring the world a work worthy of its subject. … [W]e have endeavoured to produce a book that reflects a passion for the artefact, a fascination with the many aspects of bibliography and book history, and a deep regard for the archive." They observe that the OCB has been designed for both ready-reference and systematic study, made possible by a detailed system of cross-referencing, thematic indexing, and an extensive general index. The long essays, which take up the majority of the first volume, are written by experts in their fields; reading them from start to finish would provide as thorough an education on book history that you can find between two covers. On the thematic side, authors include Andrew Robinson (Writing Systems), Christopher de Hamel (The European Medieval Book) Andrea Immel (Children’s Books), Paul Goldman (The History of Illustration and Its Technologies), David Pearson (Bookbinding), Daven Christopher Chamberlain (Paper), Eileen Gardiner, Ronald Musto (The Electronic Book), and several others. The national and regional histories cover just about every imaginable portion of the globe, from Hungary to Canada to the Philippines; while America and Britain are treated at the greatest length, each runs to at least four pages and provides significant bibliographical lists for further research. I particularly enjoyed reading the essays encompassing places I’m not as familiar with, which provided some fun surprises, like the accidental 1556 arrival of printing in India (the press, sent from Portugal, had originally been requested by the emperor of Abyssinia, who changed his mind; the printer rerouted to Goa and established himself there). In the 5,160 reference entries you will find short definitions of book-related terms (a few, at random: blad, conger, dandy roll, marbling, padded binding, rebus, volvelle), and sketches of various people related to book culture in some way (printers, publishers, authors, illustrators, collectors, forgers, librarians, bibliographers), institutions and organizations (publishers, collecting groups, libraries and archives, booksellers), and titles of particular importance. All but the shortest definitional entries are signed by their author, and each provides citations for further study. It’s entirely possible, I discovered, to completely lose track of time in browsing through these entries, which are replete with fascinating characters and biblio-tidbits. On just the first page, we learn of Leiden bookseller/publisher Pieter van der Aa (1659-1733), who had a library of 20,000 volumes; Norwegian printer Sivert Knudssøn (1759-1817), the founder of a lending library; Abagar, the first Bulgarian printed book (1651); English book and manuscript collector John Roland Abbey (1894-1969), plus the beginning of the section on "abbreviations and contractions." It’s awe-inspiring. Using the cross-references in the text (indicated by an asterisk before the entry referenced) it’s possible to create your own path through the text (for example, following the cross-references in the entries just mentioned will bring you to the entries for atlases, lending library, printing, ephemera, breviary, rectos, leaves, colour-plate books, illuminated manuscripts, Sotheby’s, ampersand, or justification). A similar function is performed by the thematic index at the start of the first volume, which groups entries according to their main topic. Of particular interest to this magazine’s readers may be the "Book Collectors and Collecting" theme, which runs to eight columns and unites topics of interest (including bibliomania, condition, first edition, provenance, sophisticated copy, ownership marks), bibliophilic organizations (among those included are the Aldus Society, Fellowship of American Bibliophilic Societies, Grolier Club, Roxburghe Club, and the Settle of Odd Volumes), and a list of the collectors featured in the volumes (subdivided by location and century of prominence). Other major themes include Authorship, Copyright, Forgers and Forgery, Illustration, Maps and Cartography, Printers and Publishers. While navigating through the thematic entries seems tricky at first glance, the editors have provided some very useful roadmaps here for students of the book. There are likely to be small errors in these volumes. There are things a different team of editors would have added, subtracted, or treated at different length; it would be impossible, even in a set of this magnitude, to define or sketch every topic of interest to any bibliophile. But the OCB provides as good a base for such an endeavor as we’ve ever had, or are likely to get, in printed form. It is certainly a beautiful example of that form, I must add, with its sturdy binding, heavy paper, excellent illustrations, and decorative slipcase. If current trends continue, we may not see its like again; the next iteration of this work, like so many great reference sources, certainly could be primarily electronic (with all the benefits and downsides thereof). The OCB itself is available via web-based subscription, as the Oxford publicity representative told me when I bought my copy. I just smiled, and said, "But why would I get that when you’ve made such a beautiful book out of it?" One of the (many) lots from Sotheby's Copley library sale on Wednesday that intrigued me was Lot 123, a book signed by Thomas Lynch, Jr., (1749-1779), a signer of the Declaration of Independence from South Carolina. The book sold for $40,625. Sotheby's cited in their catalog an article in the Spring 1960 Harvard Library Bulletin by Joseph E. Fields, "A Signer and his Signatures, or the Library of Thomas Lynch, Jr." (pp. 210-252), so I looked that up and found there a transcription of the portion of Lynch's inventory pertaining to books, plus a number of additional books known to contain Lynch's autograph. Using those lists, I've put Lynch's library online at LibraryThing, and you can browse it here. He's the eighth signer of the Declaration whose library we've documented so far (the others are Benjamin Franklin, John Adams, Thomas Jefferson, John Witherspoon, Elbridge Gerry, Lewis Morris, and George Wythe, and there are more to come). Lynch (1749-1779) was the only Signer to have been educated in the classical English manner (Eton and the Middle Temple), and also has the distinction of being part of the only simultaneous father-son duo in the Continental Congress (for a few months in 1776). His father too could have signed the Declaration of Independence, but was too ill to attend sessions and died in December 1776 on the way home to South Carolina. Lynch himself was in seriously ill health and left Congress in October 1776, never to return. He and his wife were lost at sea when a ship carrying them to France in late 1779 (to take advantage of the French climate in the hope that it would improve Lynch's health) went down in the Caribbean. "Visiting the Apprentices' Library last evening, I asked the Librarian if he had any books with the inscription of T. Lynch Jr.'s name. He immediately brought me four volumes, from which I cut the enclosed. ... I have requested the Librarian to keep his eye on other books for the same signature, as he thinks there may be several in the Library." (Cringe-worthy, no?). Clipped signatures from various of Lynch's books are now around the country in various institutional collections, mostly in collections of Signer autographs. One of the few remaining complete books was sold as Lot 9 of the third part of the Forbes Collection at Christie's in 2005, for $36,000. Some of the others were known to be in private collections in 1960, and any updates on their whereabouts (or on additional known Lynch books), will always be appreciated. I confess I was utterly flummoxed (and more than a little disappointed) this morning to find not a single Google News result for yesterday's sale at Sotheby's of the fabulous letter signed by Button Gwinnett and five other Signers (you can see images and read background here [PDF]). The AP ran a short piece on the sale of a first edition of the 1790 Census signed by Jefferson (which made more than expected, selling for $122,500 to a private collector), and a Canadian reporter wrote about the lower-than-expected prices on several documents linked to Canada, but the Button Gwinnett result didn't even get that. Hopefully the reporters are just still digging to find out the buyer, and will file stories soon. We'll see. The sale is certainly newsworthy. Somebody (I don't yet know who), paid $722,500 for this letter, containing the signatures of John Hancock, George Read, Robert Morris, Francis Lewis, Arthur Middleton, and the rarest of the rare, Button Gwinnett. The letter, found by a descendant of the recipient (John Ashmead), was sold at Anderson Galleries on 16 March 1927, for the then eye-popping sum of $51,000. The buyer was Dr. A.S.W. Rosenbach, the great Philadelphia bookman, who displayed the letter as part of several public exhibitions in the 1930s and 1940s (and included it in several of his catalogs). Rosenbach finally sold the letter to Countess Carrie Estelle Doheny in 1948, and it sold at the sixth round of her sale, Christie's (1989) to the Copley Library for a bid of $209,000 (where it became the final Signer signature in the library's collection). That price for a Gwinnett signature was not beaten until 27 March 2002, when Christie's sold a different letter signed by Gwinnett, this one from the Forbes Collection. That made $270,000, a record which stood until yesterday's sale obliterated it. Interestingly, there seemed to be some Southern Signer Spillover - along with the Gwinnett letter, several other letters did much better than expected. The North Carolina Signers did very well: a1775 Joseph Hewes letter to Samuel Johnston better than tripled its esimates, selling for $53,125, then a February 1776 William Hooper letter more than doubled its projections and made $122,500. That was followed hot on its heels by a second Hooper letter from April 1776, which sold for $206,500 (over high estimates of $50,000). The South Carolinians didn't do quite as well, but certainly exceeded expectations: a book from the library of South Carolina Signer Thomas Lynch fetched $40,625, and a document signed by his fellow Arthur Middleton and Thomas Heyward beat its estimate more than four times over, reaching $46,875. An Edward Rutledge letter made $23,750 (nearly double the estimate). Gwinnett's fellow Georgians (Lyman Hall and George Walton) weren't represented in the sale. If and when I learn who the buyer of the Gwinnett letter was, I'll be sure to report. Note: for background on this post, see my preview of the sale, here. Full results are here. This is a pretty raw account (I'm writing it as the auction goes on, but I'll try to add some ruminations at the end). Prices at the beginning were lower than expected, with the 1812 letter from John Adams to Benjamin Rush making $62,500 as the high spot in the first twenty lots (below the estimated price). A 1775 Benedict Arnold letter beat its estimates, making $53,125. A copy of A Short Narrative of The horrid Massacre in Boston (1770) did better than expected, making $11,250. Burgoyne's account of the Battle of Bunker Hill fetched $50,000. A 1776 George Clymer letter bettered its expected prices by a wide margin, selling for $10,625 (est. $1,500-2,500). A copy of the first edition of the journal of the proceedings of the First Continental Congress (1774) made $27,500, and a set of 13 volumes cf Continental Congress proceedings sold for $32,500. A complete set of The Crisis fetched $20,000, and a Davy Crockett letter made $32,500. Andrew Eliot's eyewitness account of the Battle of Bunker Hill made $62,500; a Continental officer's oath of allegiance better than doubled its esimates, making $33,750. A 1777 Ben Franklin letter sold for $37,500, but the letter pertaining to his Autobiography does not appear to have sold. A 1772 letter from Elbridge Gerry to Sam Adams sold for $25,000, and a 1777 letter to James Warren made $18,750. Gerry's 1787 letter to James Warren outlining objections to the Constitution made $16,250 (about doubling the estimate). The attractive John Hancock-signed Faneuil Hall lottery ticket sold for $4,688, and a John Hancock letter to Charles Lee made $59,375. Then along came the North Carolina Signers: a 1775 Joseph Hewes letter to Samuel Johnston better than tripled its esimates, selling for $53,125, a February 1776 William Hooper letter more than doubled its projections and made $122,500. That was followed hot on its heels by a second Hooper letter from April 1776, which sold for $206,500 (over high estimates of $50,000). Jefferson's letter to Richard Price made $56,250 (not hitting the low end of the estimate), but a first edition of the first U.S. census, signed by Jefferson, made $122,500. An 1821 Jefferson letter to a Virginia judge made $56,250, and the wonderful 1825 note to Rufus King about books and instruments for UVA made $43,750. An 1849 Abraham Lincoln letter sold for $46,875 (just above the low estimate). The Lincoln-signed telegram to McClellan ordering him to move made $482,500 (believe it or not, lower than expected). A book from the library of South Carolina Signer Thomas Lynch fetched $40,625. Cotton Mather's c. 1708 complaint about Harvard students made $12,500, and a document signed by South Carolina Signers Arthur Middleton and Thomas Heyward beat its estimate more than four times over, reaching $46,875. Robert Treat Paine's letter to David Cobb informing him of the choice of Washington as commander fetched $40,625 (more than expected), while a whiny Thomas Paine letter to George Clinton (1807) made $56,250 (below the estimate). A payment note signed by Paul Revere made $15,000, and an Edward Rutledge letter continued the Southern Signers Streak, making $23,750 (nearly double the estimate). The Washington letter to Arnold ordering him to Quebec made $104,500 (just barely over the estimate), and GW's note to Tayloe mentioning the siege of Boston fetched $86,500 (beating the high estimate by a smidge). The very interesting GW letter to Joseph Jones (1781) made $68,500 (within the estimate range), and his 1788 letter to Nathaniel Gorham celebrating the Constitution didn't sell. A 1790 letter to General Anthony Wayne made $98,500. A 1782 Anthony Wayne letter doubled its estimate, reaching $10,625; another from the same year made $13,750. Aaron Wood's annotated Constution made $53,125. The total before the Gwinnett document was $3,640,384. And then came Gwinnett, which made $722,500. Quite a day for the Southern Signers, that's for sure! - A 14th-century copy of Abû cAlî al-Hasan ibn cAlî ibn cUmar al-Marrâkushî's treatise on astronomical timekeeping made £289,250, over estimates of £40,000-60,000. - A late 12th/early 13th-century copy of the Sharh Manzumat Ibn Sina, a commentary on a medical treatise, sold for £175,250, beating the £20,000-30,000 estimate handily. - A 16th-century illuminated Persian mss. of the tale of Yusuf and Zulaykha fetched £73,250, also beating its estimate. - Two Qur'an leaves from c. 1020 AD, each estimated at £40,000-60,000, made £199,250 and £175,250, respectively. The 2010 Pulitzer Prizes were awarded yesterday afternoon. Carolyn Kellogg has a good rundown of the book winners. Sotheby's has posted a cool video preview of the eight James S. Copley Library sales they'll be holding over the next year or so (not just the first sale coming up on Wednesday, which I previewed last week). Even after this week they've got some pretty incredible things coming up! Book Review: "If on a winter's night a traveler"
Italo Calvino's If on a winter's night a traveler (Mariner Books, 1982) is a complicated, exquisite exploration of writers, readers, and the act of reading. The "meta" nature of the text is clear from the first sentence ("You are about to begin reading Italo Calvino's new novel, If on a winter's night a traveler") to the last (which you'll have to read the book to get), and continually reiterated throughout. After the first chapter, the Reader discovers an error with his copy of the book, and in returning it to the shop initiates a series of events which result in his reading the beginnings of about ten different works, each very different from the next (and all of which somehow manage to connect). Between these readings, the meta-story intercedes, as the Reader and the Other Reader take each others' measure and connect. I found myself lost at times, having to go back and read the inter-chapter vignettes to make sure I knew what was going on between each story. But I didn't mind this - Calvino's careful language and lovely evocations of what it means to read and to be a consumer of books only made close examination all the more pleasant. "In the shop window you have promptly identified the cover with the title you were looking for. Following this visual trail, you have forced your way through the shop past the thick barricade of Books You Haven't Read, which were frowning at you from the tables and shelves, trying to cow you. But you know you must neer allow yourself to be awed, that among them there extend for acres and acres the Books You Needn't Read, the Books Made For Purposes Other Than Reading, Books Read Even Before You Open Them Since They Belong To The Category Of Books Read Before Being Written. And thus you pass the outer girdle of ramparts, but then you are attacked by the infantry of Books That If You Had More Than One Life You Would Certainly Read But Unfortunately Your Days Are Numbered. With a rapid maneuver you bypass them and move into the phalanxes of the Books You Mean To Read But There Are Others You Must Read First, the Books Too Expensive Now And You'll Wait Till They're Remaindered, the Books ditto When They Come Out In Paperback, Books You Can Borrow From Somebody, Books That Everybody's Read So It's As If You Had Read Them, Too. Eluding these assaults, you come up beneath the towers of the fortress, where other troops are holding out: the Books You've Been Planning To Read for Ages, the Books You've Been Hunting For Years Without Success, the Books Dealing with Something You're Working On At The Moment, the Books You Want to Own So They'll Be Handy Just In Case, the Books You Could Put Aside Maybe To Read This Summer, the Books You Need To Go With Other Books On Your Shelves, the Books that Fill You With Sudden, Inexplicable Curiosity, Not Easily Justified. ..."
If you're looking for a complex, fascinating, novel from which you'll almost certainly learn something, I recommend this book. It's as nice a meditation on the art and science of reading as any I know. - Tom Post has a Forbes blog post up about visiting the NY Antiquarian Book Fair - good stuff! - A remarkable copy of the works of St. Augustine will be sold at Sotheby's Paris 18 May auction, the Guardian reports. The ten volumes are heavily annotated by an unidentified "incredible theologian," as a Sotheby's expert puts it. The set is estimated to fetch between €200,000 and €300,000. - Over at bookn3rd, Laura's second post on birds in medieval manuscripts includes images of religious and moral texts. - Edmund King points out that some Ohio State University Press backlist titles are now available online as PDFs, including three of Richard Altick's major titles (among them The Scholar Adventurers). - A travel diary by Marshal Alexandre MacDonald, the Duke of Tarentum, recounting his first trip from France to Scotland in 1825, has been published for the first time as The French MacDonald. - A first edition of Kipling's Jungle Book, inscribed by the author to his daughter Josephine, has been found in Wimpole Hall, a Cambridgeshire National Trust property. Josephine died of pneumonia at age six, and the book is believed to have passed to her sister Elsie, in whose collection it was discovered. - Even if the Google Books settlement goes through, Google may not be out of the woods: visual artists are now threatening to sue. - E.O. Wilson's Anthill: reviews by Molly Gloss in the Washington Post; Barbara Kingsolver in the NYTimes. - Laney Salisbury and Aly Sujo's Conman: How One Man Fooled the Modern Art Establishment: review by David Pallister in the Guardian. - David Remnick's The Bridge: The Life and Rise of Barack Obama; review by Garry Wills in the NYTimes. - Christopher Heaney's The Cradle of Gold: review by Alvaro Vargos Llosa in the WSJ. - James Shapiro's Contested Will: review by Saul Rosenberg in the WSJ. - If on a winter's night a traveler by Italo Calvino (Mariner Books, 1982). Raven. - History of Beauty by Umberto Eco (Rizzoli, 2004). Raven. - Bibliotheca Steevensiana: A Catalogue of the Curious and Valuable Library of George Steevens, Esq., Fellow of the Royal and Antiquary Societies, (lately deceased.) Comprehending an Extraordinarily Fine Collection of Books, in Classical, Philological, Historical, Old English, and General Literature (London: J. Baker, 1800). Harvard Bookstore (POD). - American Book-Plates: A Guide to their Study with Examples by Charles Dexter Allen (Macmillan, 1905). Harvard Bookstore (POD). - A Comparative Review of the Opinions of Mr. James Boaden, (Editor of the Oracle) in February, March and April, 1795; and of James Boaden, Esq. (Author of Fontainville Forest, and of a Letter to George Steevens, Esq.) In February, 1796, relative to the Shakspeare MSS. By a friend to consistency [i.e. John Wyatt] (London: Printed for G. Sael; and sold by Mess. Whites; Egerton; and Faulder, ). Harvard Bookstore (POD). - Picturesque Views, On The Upper, Or Warwickshire Avon, From Its Source At Maseby To The Junction With The Severn At Tewskesbury: With Observations On The Public Buidings, And Other Works Of Art In Its Vicinity by Samuel Ireland (London: Published by R. Faulder, New Bond Street; and T. Egerton, Whitehall, 1795). Harvard Bookstore (POD). - Bibliotheca Americana; or, A Chronological Catalogue of the Most Curious and Interesting Books, Pamphlets, State Papers, &c. upon the Subject of North and South America by Leman Thomas Rede (London, 1789). Harvard Bookstore (POD). - The Women of Grub Street: Press, Politics, and Gender in the London Literary Marketplace 1678-1730 by Paula McDowell (OUP, 1998). Raven. Acclaimed Shakespeare scholar James Shapiro grabs the third rail of Shakespeare studies and doesn't let go in Contested Will: Who Wrote Shakespeare? (Simon & Schuster, 2010). Shapiro's book is a well-executed, carefully-reasoned refutation of the "authorship controversy" - that is, the "debate" over whether William Shakespeare actually was "William Shakespeare." Shapiro makes clear from the start that he believes in the traditional narrative, that Shakespeare of Stratford wrote the plays attributed to him (though, he points out, we must make room in that narrative for recent findings about collaboration and co-authorship in the case of several of the canonical works). The book is partly a defense of the Stratfordian position, but it is also a trenchant examination of how there got to be a debate in the first place. Shapiro delves deep down into the roots of the authorship controversy; these are, we learn, surprisingly shallow - when forgeries are removed from the picture, it's not until the middle of the 19th century that questions about Shakespeare's identity began to percolate ... a trend that's gained much steam with the rise of the Internet. But there was an interpretive groundwork on which the authorship questions were founded, which Shapiro argues began with scholar Edmond Malone (known to us as the refuter of the Ireland forgeries, which also come into Shapiro's story). Malone's belief that Shakespeare's plays and poems should be read autobiographically is the foundation on which the entire authorship house of cards has been erected, Shapiro argues - it is this that has enable the proponents of other candidates to claim that their chosen author is a better fit (Shakespeare couldn't possibly have written so eloquently about the law because he wasn't a law, or Venice because he'd never been, &c. &c.). Shapiro warns that this is a false premise - that to read the works as if they are autobiography, we discredit Shakespeare's literary imagination, (and we fail to grasp the nature of Elizabethan and Jacobean writing styles, to boot). He finds a quote in the 1593 poem Licia that proves his point: "A man may write of love, and not be in love, as well as of husbandry, and not go to plough, or of witches and be none." Even as he carefully, even patiently, takes apart their claims, however, Shapiro explores many of the various branches of the controversy and their proponents - Delia Bacon's near-maniacal support of Francis Bacon as the author (which came to attract the attention, among others, of Mark Twain and Helen Keller), and John Thomas Looney's advocacy of Edward de Vere, the seventh Earl of Oxford (considered by many the leading "alternative candidate" at this point). Shapiro traces the lines of argument for the Oxfordian position right up to the present, noting that while it continues to attract high-profile interest (including Sigmund Freud and prominent actor Sir Derek Jacobi, among others), the cause has failed to actually produce a single shred of hard evidence for the conspiracy they insist had to have taken place (that Will Shakespeare was de Vere's "front man"). Nothing in the contemporary literature or biographical treatments of the time suggests this, as Shapiro points out, forcing opponents of the traditional Shakespeare into linguistic and historical contortions to explain them away. As fine and fair a survey of the authorship debate as we're ever likely to see, which comes to the only conclusion possible given the evidence we have. I've just finished entering into LibraryThing the library of Michael Wigglesworth (1631-1705), a minister/physician in Malden, MA and one of America's first bestseller poets. His 224-stanza poem about Judgment Day, The Day of Doom, sold 1,800 copies in less than a year ... and that was in 1662! An inventory of Wigglesworth's library (which amounts to 91 titles so far) was printed in a short biography of him by John Ward Dean, and Dean ably describes the library as an "eminently practical one, consisting largely of books useful for reference .... It is rich in works upon theology and history; and there is also a good collection of medical books. Of classical literature there is little, and of English belles-lettres nothing. But what will excite most surprise is the dearth of poetry. Not even the poems of Mrs. Bradstreet, the pride of New England; nor of 'Silver-tongued Sylvester,' so much in repute with the Puritans of the preceding age; nor of zealous John Bunyan, a truly fraternal spirit; nor the grand epic of Milton, on such a subject kindred to his own, are there." Dean also has some interesting comments on libraries in general: "Next to the books which an author composes may be placed those which he read as an index to his mind; and, as a general rule, we may infer that the books he possesses are those which he reads. True, it is not always safe to judge of a man's mental tastes by the contents of his library; for one sometimes comes into the possession, by gift or otherwise, of works in which he has little, if any, interest; but such books are not often sufficiently numerous to affect the character of a library of even moderate dimensions." Thanks to Houghton's great provenance index I've located a few more Wigglesworth books there - a couple signed by Michael not in the inventory, and several of Michael's books which appear to have passed to his son Edward (as per Michael's will). I suspect, as usual, that others may be lurking out there, and as always will appreciate any leads. The trustees of the Boston Public Library approved a budget this morning that will close four branches, leaving the other twenty-two open at current hours. Up to 69 jobs at the Copley Square branch and administrative offices would also be eliminated. "To lessen the blow in neighborhoods where branches will close, administrators plan to launch a program to move services 'beyond the walls,' sending librarians into community centers and senior centers for story hours, book clubs, and homework help." The plan will be sent to Mayor Menino, who will present it to the City Council on Wednesday ... so this isn't the end of the story. [Update: Menino accepted the trustees' plan]. The first sale of items from the James S. Copley Library will be held on Wednesday, 14 April at Sotheby's New York, and this is probably going to be the Americana sale to watch this year. The entire catalog is highlights, so I'll preview just a few of them here. One item warrants its own mini-catalog [PDF]: one of 51 known Button Gwinnett signatures, being called "the finest ... that will ever be available for sale." 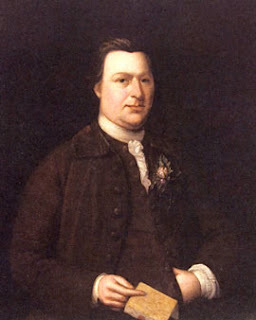 It's a 12 July 1776 letter written by Timothy Matlack and signed by John Hancock, Robert Morris, Francis Lewis, George Read, Arthur Middleton, and Gwinnett. This very copy was purchased at a 1927 auction by Dr. A.S.W. Rosenbach for $51,000, then considered a totally outrageous price for an autograph. It was acquired by Countess Estelle Doheny, and sold at her sale, Christie's (1989) to the Copley Library. The estimate this time around: $500,000-700,000. The main sale on Wednesday will be 188 lots, a first selection from the Copley Library. There's a terrific selection of Adams family letters, including one from Abigail to Benjamin Rush defending her husband from attacks made on him during the 1800 campaign ($10,000-15,000); a 1795 John Adams letter to Winthrop Sargent noting JA's lack of interest in Indian artifacts ("I am not enough in the habit of Antiquarian Speculations to hazard any Conjectures concerning them. I have never interested myself much in the Inquiries concerning the ancient Inhabitants of this country, or the Part of the World from which they first emigrated"), which is estimated at $25,000-35,000; letters from JA to Benjamin Rush dated 1808 and 1812 about partisan politics ($45,000-60,000 and $70,000-100,000 respectively); an 1837 JQA letter thanking his constituents for backing his anti-slavery efforts in the House ($120,000-180,000), &c. &c.
There's a 1784 Samuel Adams letter to Elbridge Gerry lamenting Washington's participation with the Society of the Cincinnati ($12,000-18,000); several notable documents by Ethan Allen, Benedict Arnold, John Brown, John Paul Jones and others; British general John Burgoyne's account of the Battle of Bunker Hill ($40,000-60,000); a small archive of British Revolutionary War commissary and auditor-general Daniel Chamier ($150,000-200,000); American Andrew Eliot's eyewitness account of the Bunker Hill battle ($20,000-30,000); several Benjamin Franklin letters, including one relating to his autobiography ($50,000-70,000). One of the lower-end items (heh) that I find pretty cool is a "Faneuil-Hall Lottery" ticket signed by John Hancock ($3,000-5,000); if you're into Hancock there's also a 1782 letter by him written in an attempt to recoup some of his expenses while serving in the Continental Congress ($40,000-60,000). If Jefferson's more up your alley, you can get a 1773 letter pertaining to the settlement of his father-in-law's estate ($70,000-100,000); or a 1785 letter to Richard Price thanking him for sending a copy of his latest publication ($60,000-90,000); or a 1786 letter to Crevecoeur relating news from America ($30,000-50,000). There's even an 1825 note to Rufus King sending payment for books and scientific instruments to be used at the University of Virginia ($35,000-45,000). The major Lincoln item in this sale is an autograph telegram to General McClellan, dated 25 May 1862, in which the commander-in-chief urges his commander to move: "you must either attack Richmond, or give up the job and come to the defense of Washington." This is estimated to bring between $500,000-700,000. In a c. 1708 document Cotton Mather decries the rampant sinning going on at Harvard ($5,000-7,000); Robert Treat Paine informs David Cobb of the selection of Washington as commanding officer in a 17 June 1775 letter ($18,000-25,000); Joseph Warren informs his correspondents of Arnold's victory at Ticonderoga in a May 1775 note ($25,000-35,000). Among the George Washington documents are a 14 September 1775 letter ordering Benedict Arnold to march on Quebec ($100,000-300,000); a 12 March 1776 letter to John Tayloe in which he mentions plans to break the siege of Boston ($50,000-80,000); a wide-ranging 1781 letter to Joseph Jones ($60,000-90,000); a fascinating July 1788 letter to MA's Nathaniel Gorham, celebrating ratification of the Constitution ($150,000-250,000), and several other very interesting pieces. I think my very favorite piece in this sale is the last lot: a printed copy of the U.S. Constitution annotated by an anti-federalist delegate to the Massachusetts ratifying convention. Aaron Wood outlines his disagreements with the proposed constitution, which makes this an awfully interesting document. It's estimated at $35,000-45,000. If you're looking to round out your collection of signatures by Signers of the Declaration of Independence, this is a good sale for you - a fair number of them are represented here. It certainly will be fascinating to watch, and I suspect we may see some very high numbers posted for this sale. Book Review: "The Boy Who Would be Shakespeare"
Book Review: "A Reader on Reading"
Known Shakespare Forger Doubted "Double Falshood"